When asked “What did you do on your summer vacation?” students at New England’s only veterinary school will have some interesting stories to share. Backed by more than a quarter-million dollars in government, corporate and foundation support, 43 students from the Cummings School of Veterinary Medicine have fanned across the globe this summer to destinations from Brazil to Bangladesh to tackle all manner of health-related challenges. Rising third-year student Sarah Merriday traveled to France to determine if vaccinating goats against the intestinal disease paratuberculosis helps to improve their milk production. Another 2014 candidate, Emerson Tuttle, will work to examine the decision-making process of responses to foot-and-mouth disease in Ethiopia, where widespread outbreaks of the disease often carry devastating economic consequences. 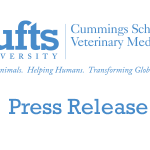 On the school’s Grafton, Mass., campus, students will work with faculty at its two hospitals, Wildlife Clinic and research divisions on subjects as varied as feeding practices among dog breeders and developing a novel approach to canine laryngeal paralysis, which can trigger life-threatening breathing problems in large dogs. Under the guidance of faculty mentors, students apply for the awards in a competitive process. About one-quarter of each summer’s award recipients will travel abroad. Of the past trainees, more than 60 percent pursued further research training, including 2002 graduate Raimon Duran-Struuck, D.V.M., Ph.D. 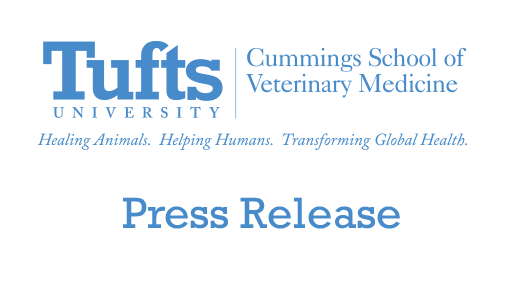 The experience was inspirational and allowed him to discover research while undertaking his DVM studies, said Dr. Duran-Struuck, who was recently appointed Head of the Pre-clinical Transplantation Laboratories for Columbia University. Since its inception in 2005 by Dr. Anwer, more than 200 students have been funded for the summer projects. Funders have included the US Army, the National Institutes of Health, Merial and the Morris Animal Foundation.